Now Hiring Gas & Oil Class A COMPANY DRIVERS in the Columbia, SC area! Now Hiring Gas & Oil Class A COMPANY DRIVERS in the Thorntown, IN area! Now Hiring Gas & Oil Class A COMPANY DRIVERS in the Lewistown, PA area! Now Hiring Gas & Oil Class A COMPANY DRIVERS in the South Carolina area! Now Hiring Gas & Oil Class A COMPANY DRIVERS in the Elwood, IN area! Now Hiring Gas & Oil Class A COMPANY DRIVERS in the Richmond, IN area! Now Hiring Gas & Oil Class A COMPANY DRIVERS in the Soso, MS area! Gas and Oil Class A OWNER OPERATORS needed in the Michigan area! Now Hiring Gas & Oil Class A COMPANY DRIVERS in the Broad Top City, PA area! Now Hiring Gas & Oil Class A COMPANY DRIVERS in the Frankfort, KY area! WHY DRIVE WITH BMC BULK? BMC Bulk wants experienced drivers to enhance our hauling and bulk services, and we’re dedicated to creating an environment where drivers thrive. Backed by GDX Capital Group, we are a stable company with the heft and longevity to support your long-term career goals. BMC Bulk is constantly investing in the equipment, technology and talent required to expand our business. Join our family, and you’ll be joining an emerging leader in bulk transportation. JOIN THE BMC BULK FAMILY - Call BMC Bulk at 330-831-4852 or Apply TODAY! Looking for a stable environment with great pay and good, honest work to keep you busy? Look no further. 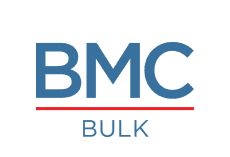 BMC Bulk needs motivated company drivers to join our growing team. Call BMC Bulk at 330-831-4852 or Apply TODAY!